When a credit system fails, debts have to be devalued one way or another. At the core it is a currency system failure. The US trade and fiscal deficits are on the rise again, and as the chart above shows the combined deficits lead the direction of the US dollar. What the chart above does not show is how difficult it has become to change the direction of the twin deficits. This time US policy makers have few options remaining as these deficits continue to escalate. Usually these deficits have stimulated the world economy, however, they now have only a short term positive impact. As has been shown in previous notes, global growth has now peaked, and this comes at a time when real underlying US economic performance is now at its weakest point in 50 years (see chart below). As shown in this recent note, http://chrisbelchamber.com/policy-makers-and-the-fed-are-now-just-playing-out-the-endgame/, the US economy has become chronically dependent on debt, so it is no longer possible to significantly lower these deficits without triggering even lower growth and probably a recession. Policy makers are now trapped in a catch 22. The system had to change in the 1930s and in the 1970s, and, in both cases, with a major fall in the dollar. A devaluation of fiat currencies seems to be the most realistic and increasingly inevitable solution. The world’s debt-based system is near its limit. Separating out the 2 deficits, it is clear that rapid acceleration is now happening. 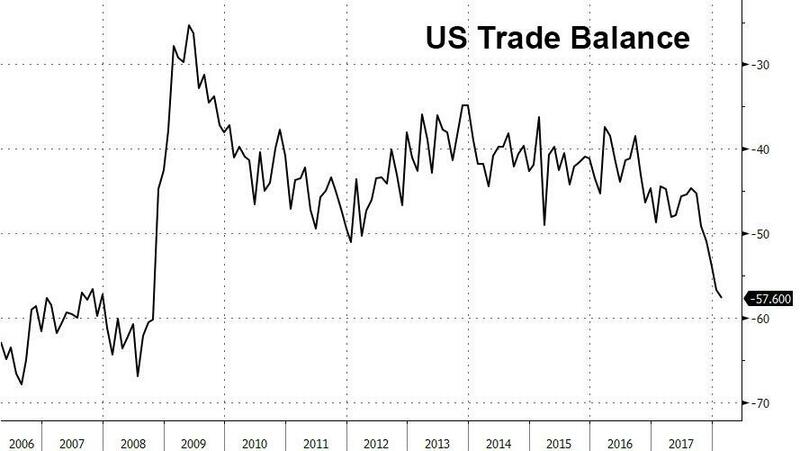 The trade deficit has begun to rapidly deteriorate and is now at its widest level since 2008. At the same time the Budget Deficit has grown faster than ever before. 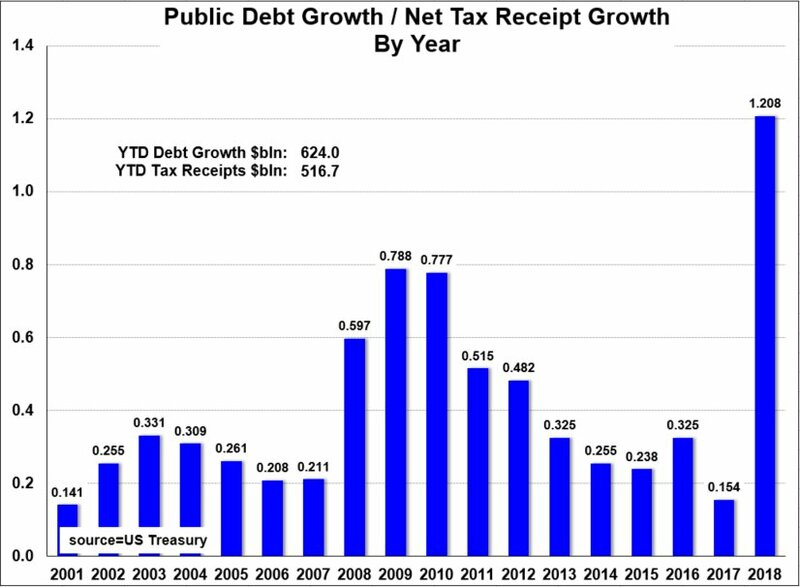 And this year it is growing at the fastest rate ever in relation to net tax revenues. With all this stimulus and interest rates still near record lows high growth should normally be expected. However, looking at the actual data the US economy is still chronically weak in underlying terms. 1. 5 year average wage growth is the lowest in 50 years. 2. 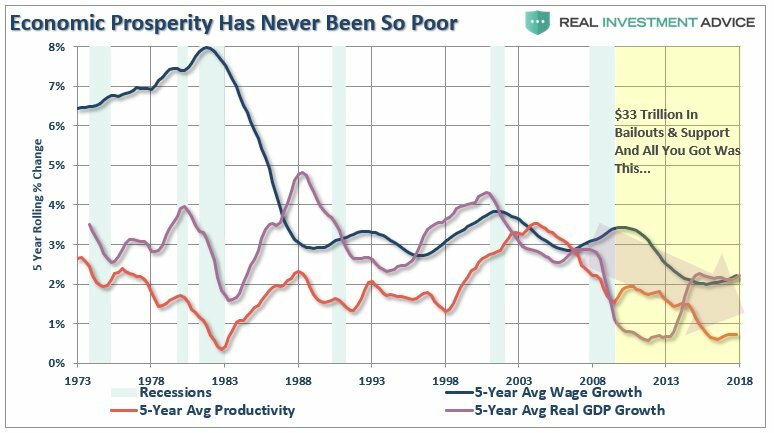 5 year average productivity growth is the lowest for 50 years. 3. 5 year average real economic growth is the lowest for any ex-recession period for 50 years. While financial assets have performed remarkably well, the deterioration in middle class prosperity is relentless and unsustainable. 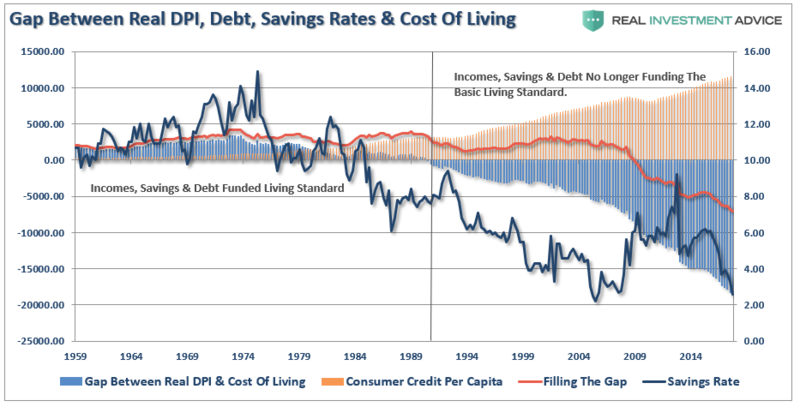 The middle class are near the limit of their resources and making up the difference with ever greater debt, while policy makers, in effect, are operating on the basis that ever more debt will sustainably resolve a failing out of control debt system. Furthermore, the beneficiaries of the system are unwilling to change. 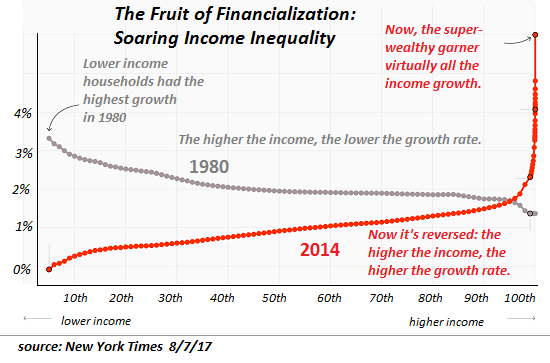 The chart below shows that the rewards of the system have been inverted to favor the wealthy and influential. 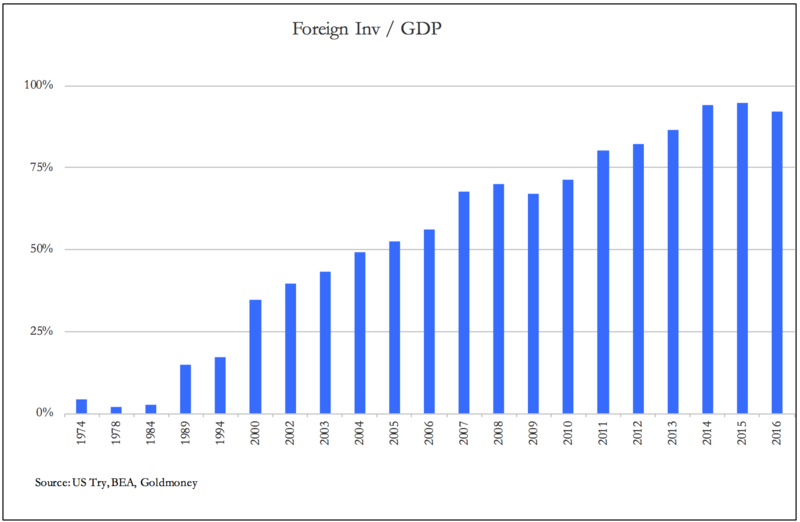 However, the flaw in this notion of prosperity from perpetually accelerating debt is that it becomes increasingly dependent on foreign investors. At some stage foreigners will stop supporting a failing system with ever greater demands for their capital. Indeed, Asians have already been preparing for these continuing and growing concerns for some time. 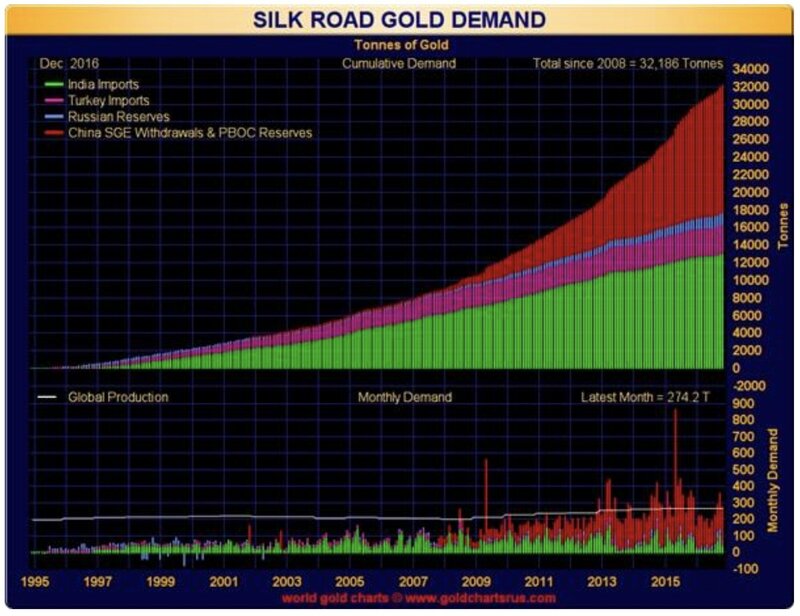 The kind of relentless accumulation shown below suggests that while Asia may accept the US dollar as the world’s payment system, it seems they no longer regard it as the prime reserve asset. 1. Do you think the US economy is performing well in underlying terms? 2. Do you think that US policy can sustain debt expansion at its current rate? 3. 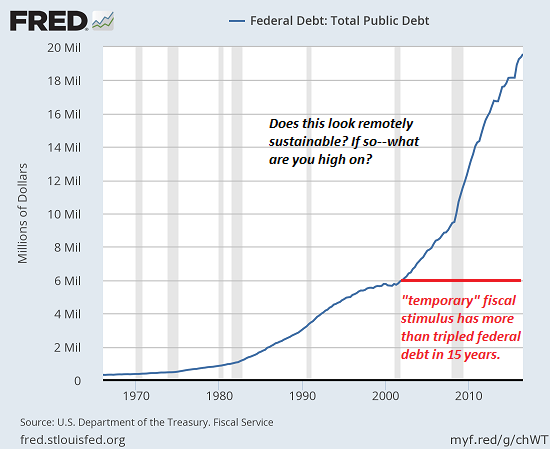 Do you think the US can finance its own debt expansion without ever more foreign capital? 4. If you were a foreign investor would you be increasing your allocation to US dollars? 5. 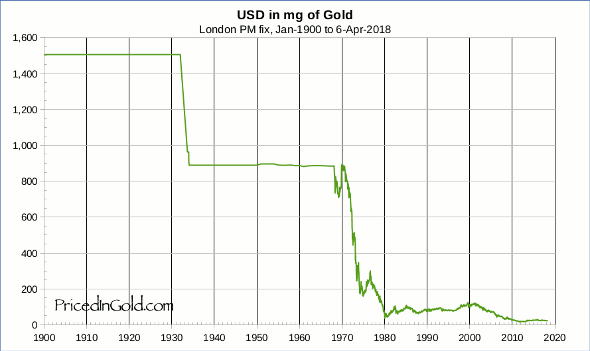 Do you believe US dollar cash is a good long-term store of value? 6. Have you stress tested your financial situation for a much weaker dollar? 7. Do you believe current conditions are sufficiently stable for a passive allocation?